"raises at least three times as much as any other fundraising website, and eight times more from Amazon!" Simply fill in your details here, we never share your details with anyone. and we feature all the major high street names! 'easyfundraising', and 'give as you live' offer just a miserable 0.5% from Amazon. School Angel offers a free community fundraising platform which helps UK schools raise funds to benefit their pupils and disadvantaged children using our charities technology. You can involve just your school, or if you like, why not invite the whole wider community to help by simply asking them to do their normal online shopping using your School Angel shopping page. The biggest and best UK brands support the charity by donating a proportion of their profit on anything you buy from your fundraising page to your school. It literally can be anything, for example, holidays, workman's tools, your next mobile phone, home utilities or any other conceivable thing you might buy. Since the charity was founded in 2013 we have raised thousands of pounds for schools and disadvantaged children throughout the UK with our most active schools raising well over £1000 every year. ​As a charity we make no profit so your school gets the maximum benefit 24/7 whenever someone does their online shopping, on average we raise 3x more than commercial companies like easyfundraising. how does school angel work? These companies have agreed to donate a portion of their profit to School Angel every time you use this site. It costs you nothing to use the site and you are guaranteed to get exactly the same deal on your purchases using School Angel as you would if you visited the retailers' website direct. 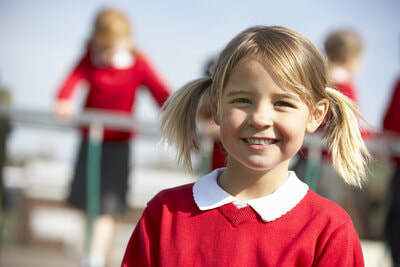 Unlike other school fund-raising websites which are run as businesses, School Angel is a charity, so all the profits go to help schools, and you never need to login, remember passwords or give us your email address. Just click in and out of School Angel in a second and we will make sure your donation gets right back to school. By using School Angel you really do make a real difference to your school without it costing you a single penny. We are the first charity in the UK to bring the power of big business fund-raising to help UK schools. We also raise funds for disadvantaged children. These maybe children who suffer from a physical / mental disability or be socially deprived. Uniquely, School Angel asks school teachers who know their pupils best to identify disadvantage, and the charity then helps with funding the appropriate resource. Help can range from the discreet funding of a school trip for a child otherwise unable to go, to funding a specialist piece of medical equipment enabling a disabled child to attend a mainstream school.